You can search Time’s cover stories 35 weeks forward and backwards and never see another religious figure or spiritual topic featured. Such was the notoriety and impact of Lewis, even 61 years ago. Few people in 1947 were writing about demons and their ilk, and still fewer believed in them enough to bother speculating on this question: What if we could see what the temptation of our souls looks like through the eyes of the other side? In other words, what if we could interview a demon? That was Lewis’s premise for one of his most durably popular works, perhaps his single most popular work among non-Christian readers; in an ingenious preface, Lewis purports to be beneficiary of the intercepted correspondence of diabolical counsel from a senior devil to an apprentice devil. Screwtape had actually been published five years earlier, as part of a quartet of scintillating war-time works (including The Problem of Pain; Mere Christianity; The Great Divorce) that challenged battle-weary Britons and others around the globe not to give up hope or yield to unbelief in this world, specifically by turning their lively focus on the world to come. In so doing, Lewis established that those only those so heavenly-minded have a chance to be any earthly good. The story unfolds as a chronological series of letters that captures the downs and ups of Wormwood, Screwtape’s nephew, who is trying to use what weapons he has, lies, deceptions, doubts, to undermine the faith of his “patient,” a young man whom we first meet as one struggling to believe, and then who is on and under trial as a new Christian. As an apologist for Christianity, Lewis’s used his imagination to seek fresh ways to communicate orthodox Christian faith. The idea for Screwtape actually occurred to him while he sat in church during a lackluster sermon (an experience with which many men and women might identify). It is a classic reversal story—that is, it turns upside down our expectations and affiliations; for example, Satan is reverenced and referenced as “Our Father Below,” while Jesus is termed, simply, “the Enemy.” By turns comic, sobering, satirical, enlightening, and challenging, Screwtape prepares us to bolster and extend our faith in the face of opposition and deliberate sabotage. Its winsomeness trades on the fact that most of us fail to grasp the moment-by-moment momentousness of temptation, the behind the scenes activity that accounts for how we respond to challenges to our faith and character, and the consequences of each decision we make. Put in theological prose, Lewis’s main intention is to illuminate the psychology of temptation for believers—but also to illustrate the severe limitations and outright ignorance that pervades the underworld as it seeks to undermine God’s purposes. Screwtape never understands why the Enemy loves the patient, even to the point of giving up His life for another. This is not even ponderable for Hell-bent or Hell-bound dwellers, who are the ultimate egotists and self-aggrandizers. Lewis also wished to debunk the “romance” attributed to rebellion, proving that those who align themselves with hell choose not only the losing side, but the most banal, boring, bloated, uninteresting creatures as eternal companions. Along the way, he uses Screwtape to point out the foibles and stupidities of human life—identifying the pressure points of pride and vanity undergirding so much of our day to day living. Screwtape’s timeless brilliance lies in depicting the everyday and showing how from a demonic point of view, the devotion and care Christians show to their fellow men and women, mirrors of the love God has shown to them, is unfathomable to the desperately lost and unreflectively wicked. From Screwtape we learn that God has no equal: Satan is a created being, and is a quite fallen, finite entity; God is eternal, everlasting, omnipotent, omniscience, and omnipresent. Satan is none of these. He is a deceiver whose first deception was self-deception. Over time Satan has fallen deeper in delusion, a victim of his own lies and deceptions, and seeks only to devour those who would similarly choose to believe his lies and the lies about themselves that he plants and nurtures. God is Love—and God is light. There is no one like him. There is no other God but He who is reveal in the revelation of the Scriptures, his mighty acts in history, and in the incarnation of His Son and the coming of the Holy Spirit. As Lewis puts it, Satan is not God’s nemesis, but that of fellow angel, Michael the archangel. It’s clear that the “patient” has a will, and by Heaven’s help he can resist the stumbling-blocks put in front of him by choosing the good, the true, and the beautiful. It is also clear that “the Enemy” is not abandoning him and leaving him to stand alone. Screwtape and Wormwood are both befuddled not only by the patient’s perseverance in face of war and calamity, but equally so by the Enemy’s personal dedication to preserving his faith. War, like all grand human tragedies—hurricanes, tsunamis, floods, plagues—is indiscriminate in how it touches every aspect of life, the mind, the heart, the spirit, affecting how we see ourselves and others in relation to the present and to eternity. It can be a weapon to divert our eyes from heaven. In Screwtape, war is the backdrop that could make the patient overthrow his faith in the face of greater peril, making him cynical, weary, hopeless, to question God’s goodness. Screwtape hopes to prolong the patient’s life, to convince him that his purpose is to live forever on this earth, and thus to give him more time to wear him down, to turn him into a selfish and prideful wretch of a man. God instead grants him release—and therefore peace and everlasting rest. From Screwtape we learn that temptation is essentially a campaign of distortion, exaggeration, manipulation, lies that tempt the individual one way or another to focus on the self, to become selfish, self-important, preoccupied with one’s own appearance, one’s own standing, a constant appeal to vanity—the beginnings of hell on earth. There is nothing appealing about hell in Screwtape—it is not the promised realm of infinite freedom and profound achievement, but rather an ugly bureaucracy, overcome by utter grayness, since there is nothing more uninteresting than a smug sea of fallen humanity sinking deeper into themselves forever and ever, lacking the transformative glory and uniqueness that redemption and the company of heaven provide. Perhaps the most enduring lesson to be learned from The Screwtape Letters is that diabolical lies can be resisted and refuted by steadfastly holding on to the truth of Who God is, and who we are in Him, and by being knowledgeable and vigilant to oppose the devil’s schemes, through prayer, Scripture, worship, and, most of all, the company we keep. From 1981 to the time of his death on October 28, 2015, Bruce L. Edwards was a Professor of English and Africana Studies, and Associate Vice Provost for Academic Technology at Bowling Green State University in Bowling Green, Ohio. He served as a C. S. Lewis Foundation Fellow at the Kilns in Oxford, England; a Fulbright Fellow in Nairobi, Kenya (1999-2000); a Bradley Research Fellow at the Heritage Foundation in Washington, DC (1989-90); and as the S. W. Brooks Memorial Professor of Literature at The University of Queensland, Brisbane, Australia (1988). 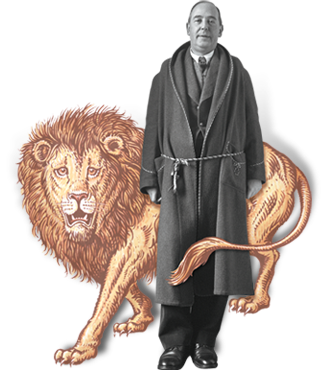 His C. S. Lewis: Life, Works, and Legacy (4 volume encyclopedia) was published by Praeger Press in 2007. Bruce’s other books on Lewis and The Chronicles of Narnia include: Not a Tame Lion (2005) and Further Up and Further In: Understanding C. S. Lewis’s The Lion, the Witch and the Wardrobe (2005), A Rhetoric of Reading: C. S. Lewis’s Defense of Western Literacy (1988) and The Taste of the Pineapple: Essays on C. S. Lewis as Reader, Critic, and Imaginative Writer (1988). This entry was posted in Bruce L. Edwards and tagged conversion, devil, faith, Kilns, Paradise Lost, Screwtape Letters.